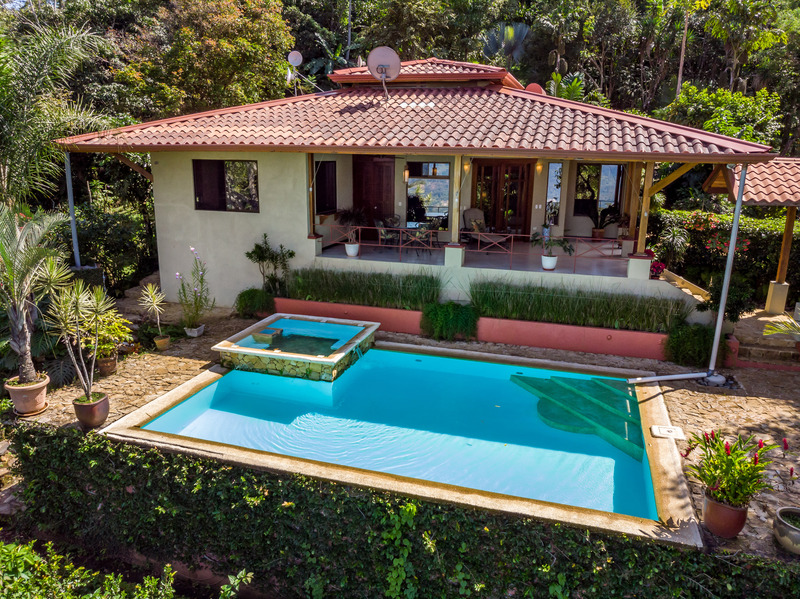 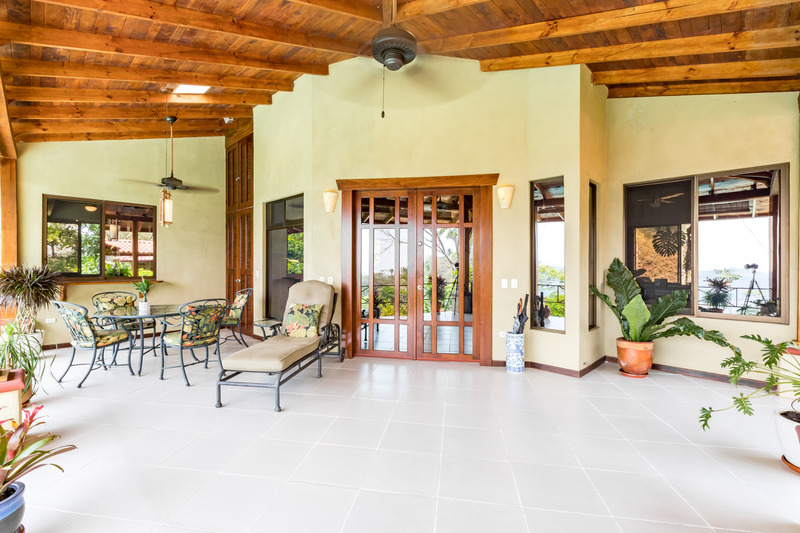 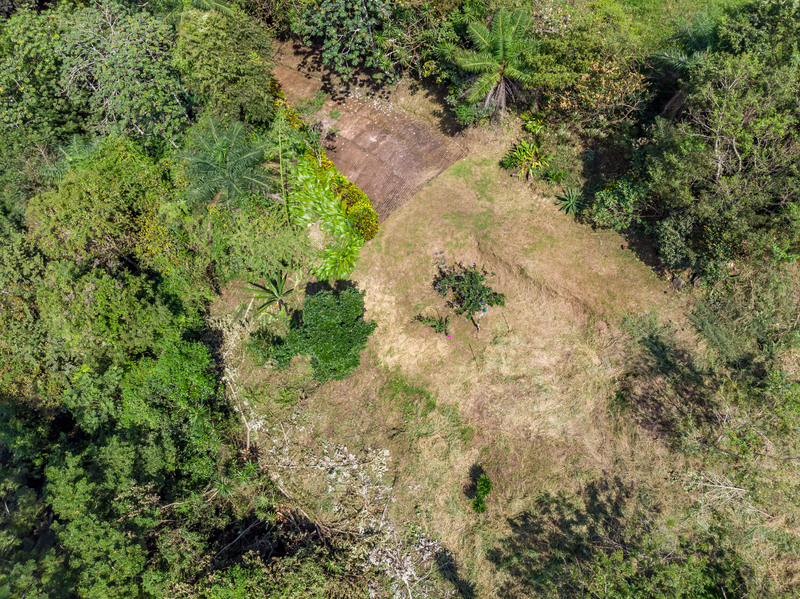 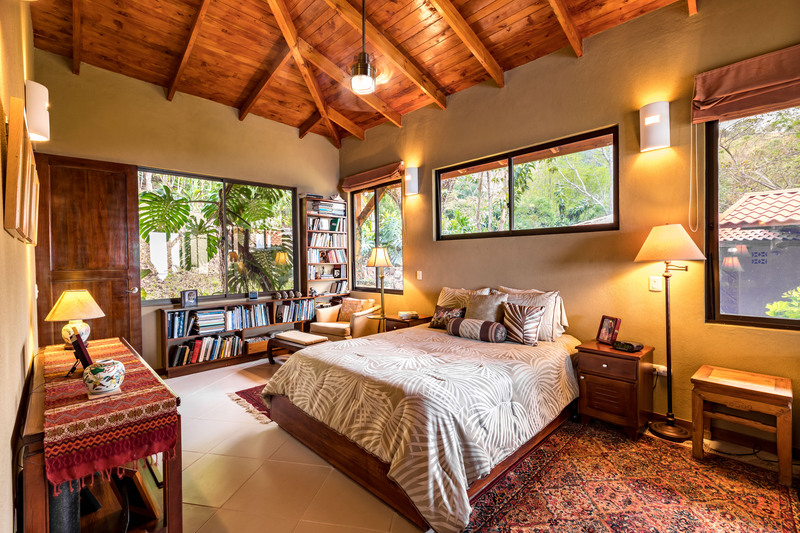 This outstanding tropical home is sitting on a picturesque slope on 5.5-acre coffee farm. 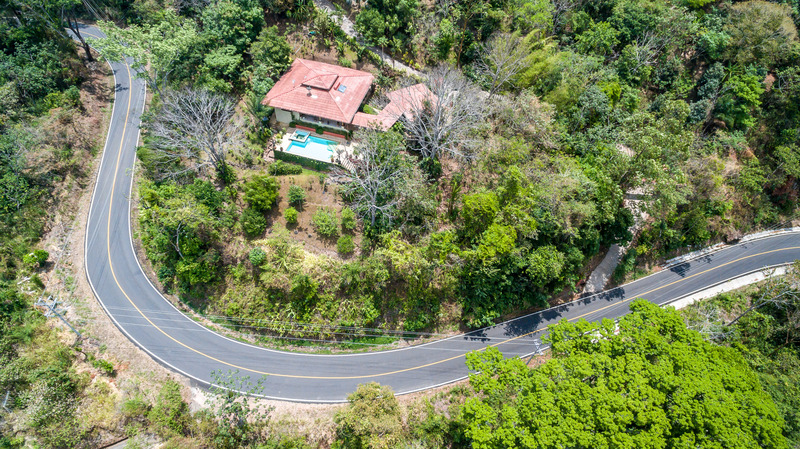 The property is surrounded by fruit trees, old forest and waterfalls. 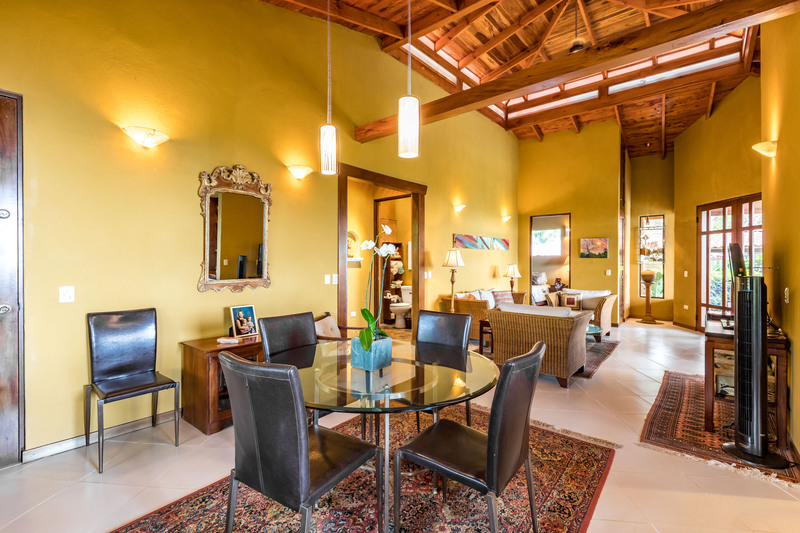 Home is located only one hour from San Jose and 45 minutes from fine dining, shopping and hospitals. 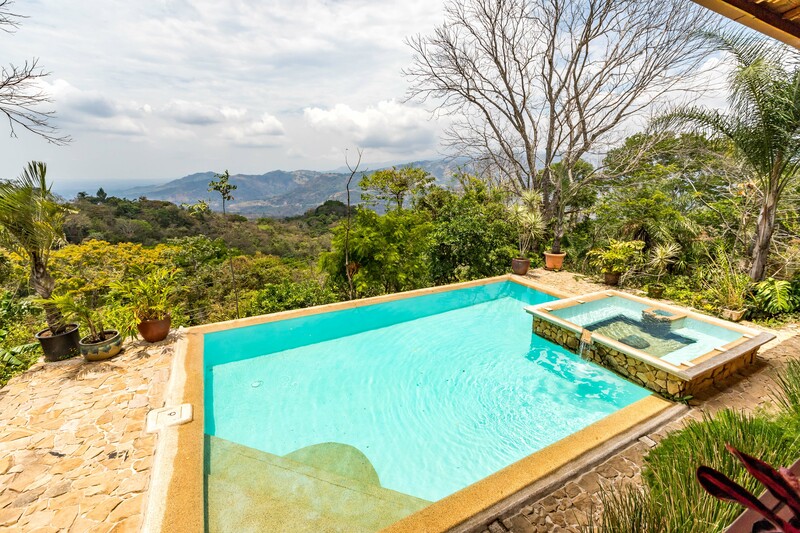 There are 2 additional building sites on the property with gorgeous views. 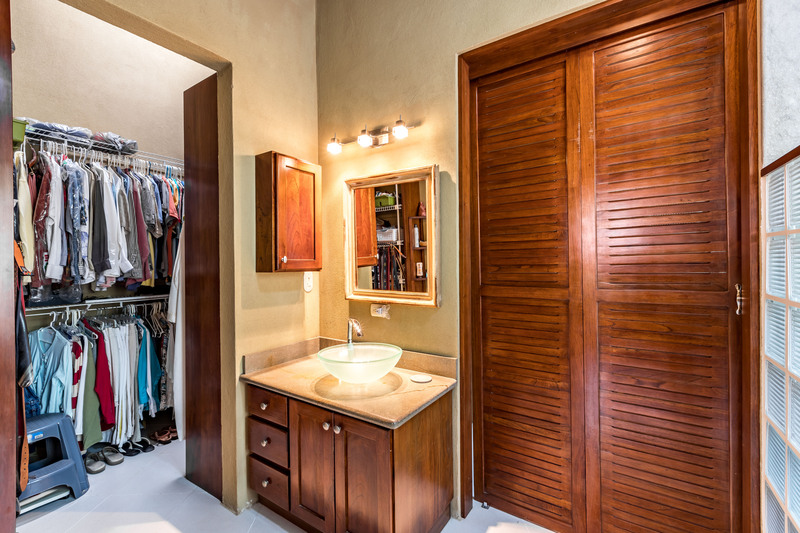 This property features 2 bedrooms and 2 bathroom and it was built in 2008. 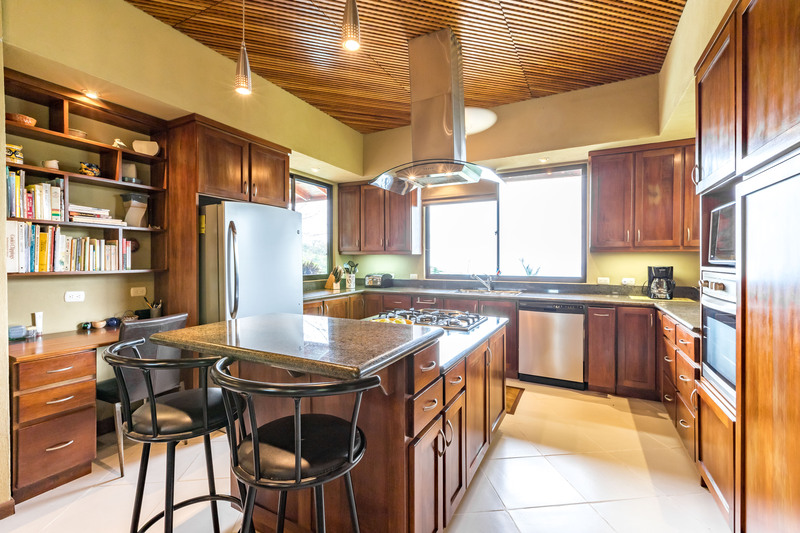 There is a large kitchen with granite counter-tops, stainless steel appliances and cooking island. 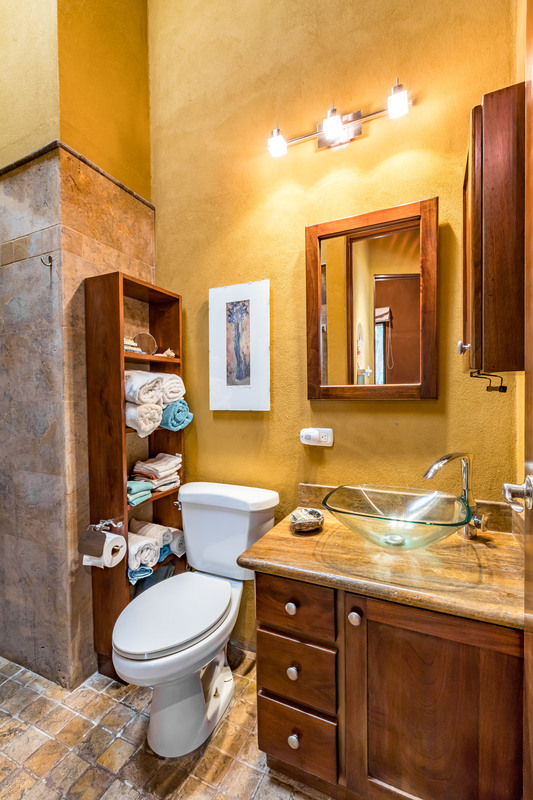 Home has porcelain floors throughout, valuated ceilings, marble and stone finished bathrooms, walk-in closets, a tons of custom cabinetry and woodwork throughout and double under roof carport with workshop or 3rd Bathroom. 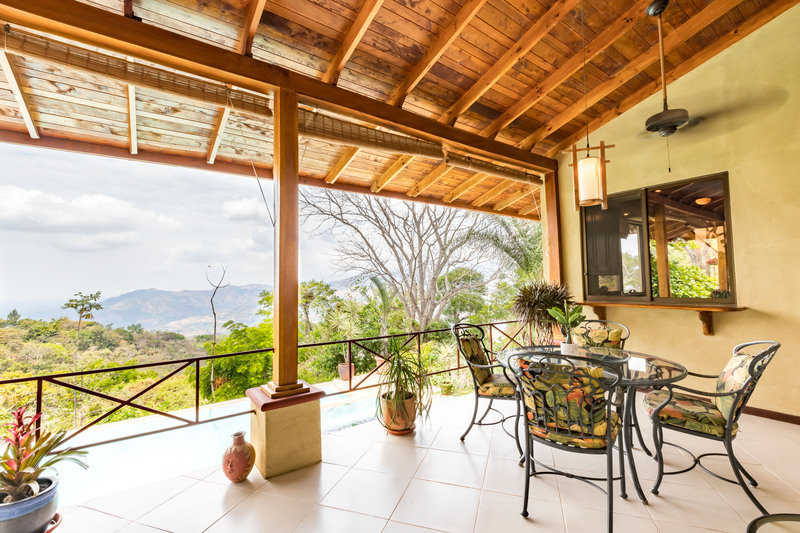 There is solar heating unit on the roof for the water heater. 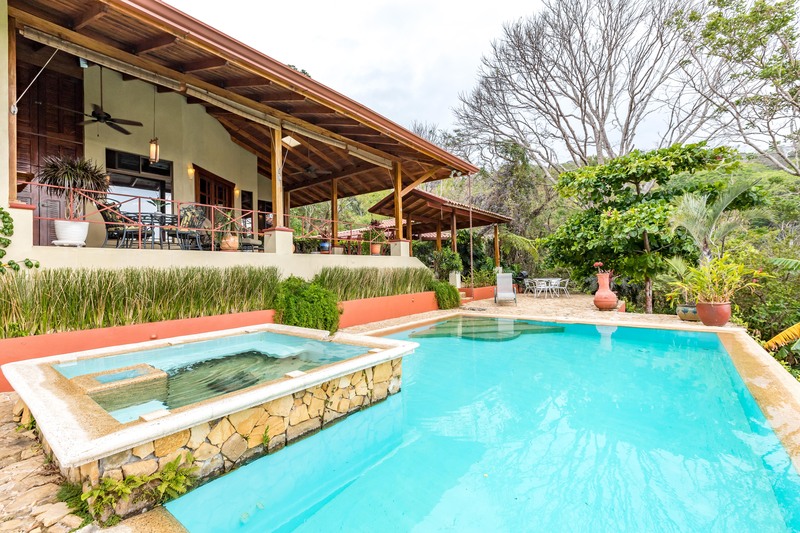 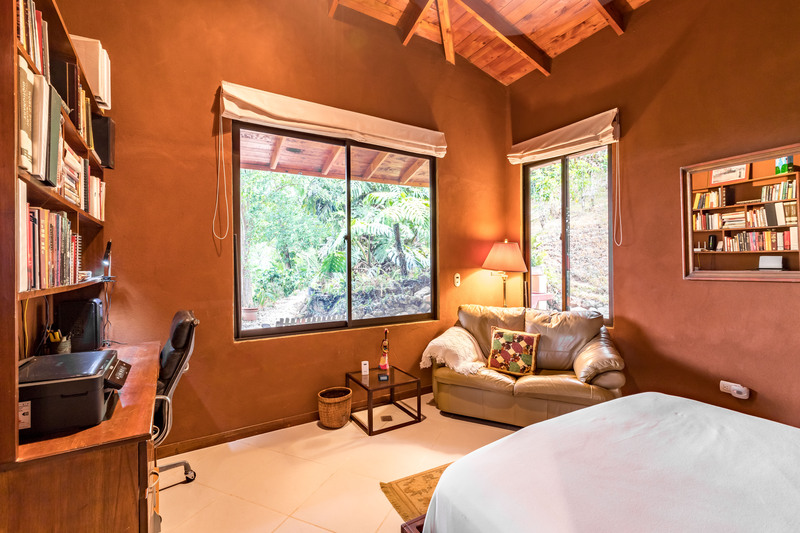 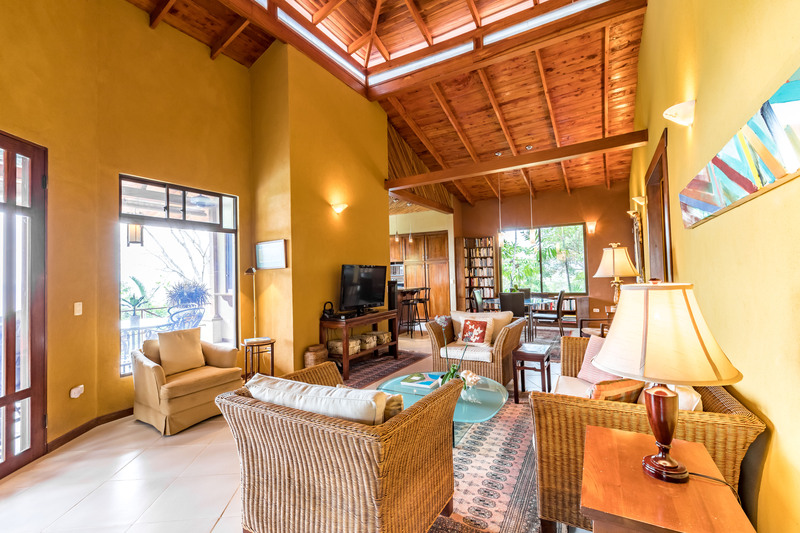 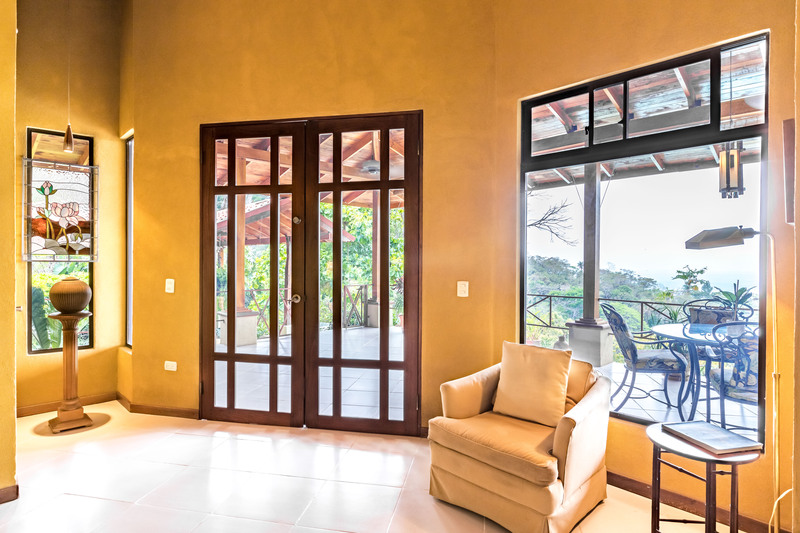 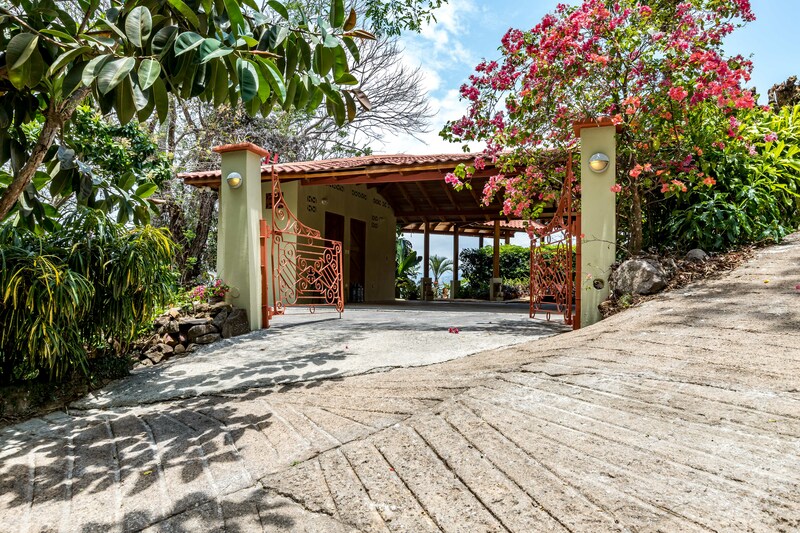 Home is wraparound by large porches with fantastic views of the sunset over the Gulf of Nicoya. 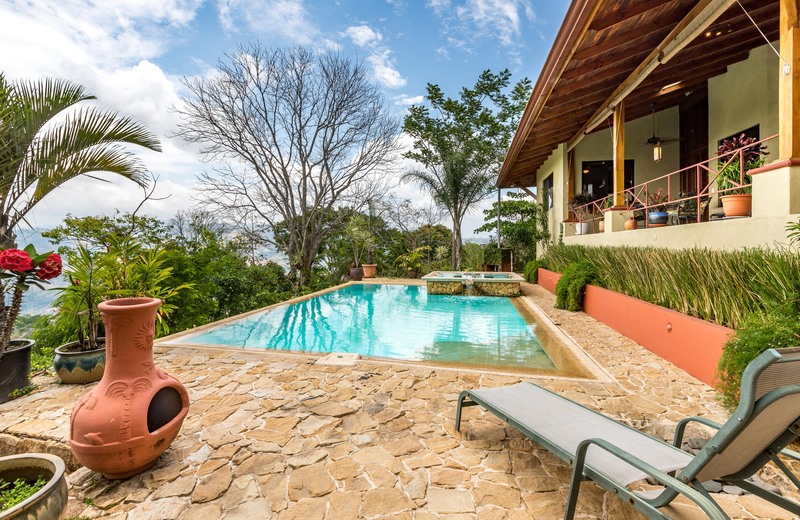 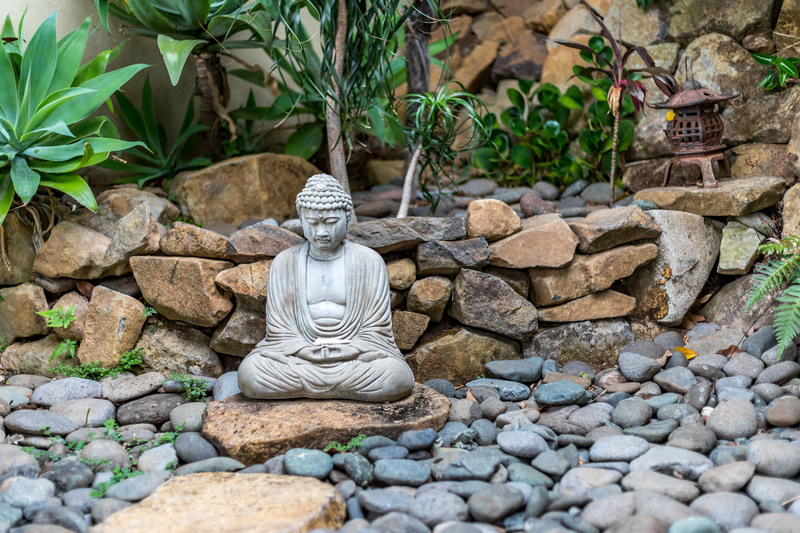 Home has in-ground pool with SPA and extensive landscaping with many tropical plants. 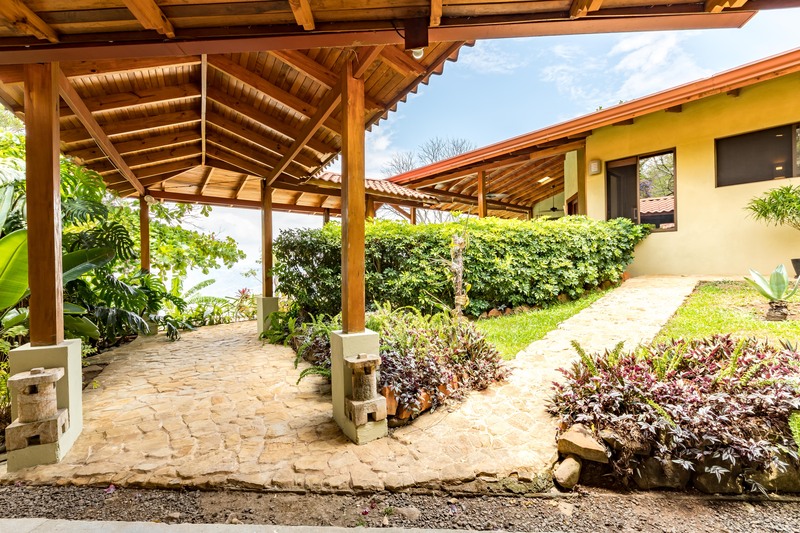 Property can be treat as Family Compound with existing home and 2 additional sites to build or sold separately for extra income. 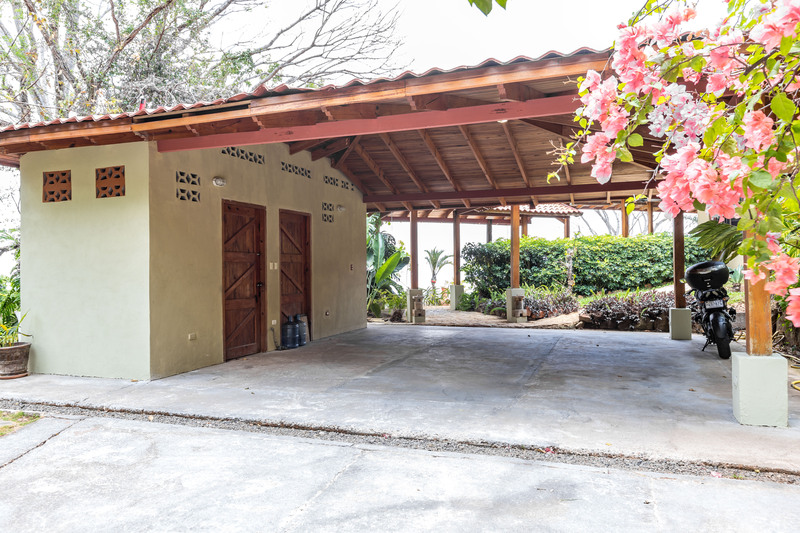 Home is located in Turrubares, close to Puriscal.